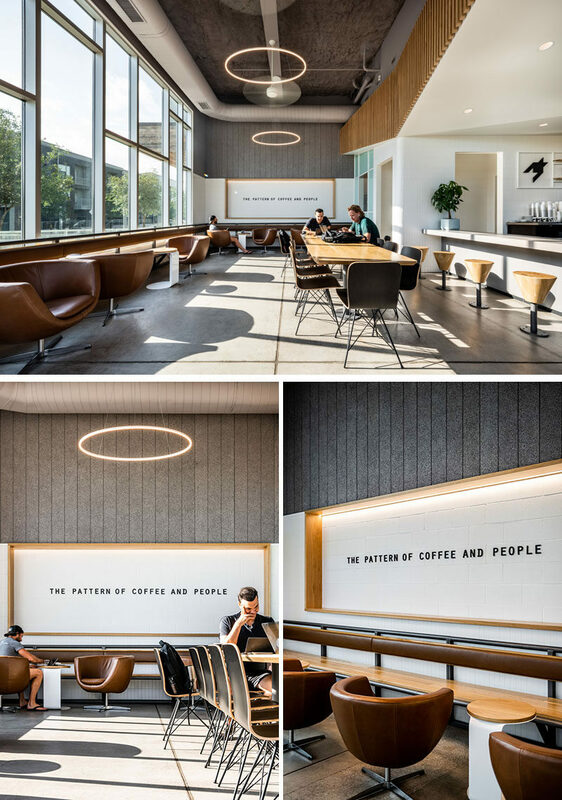 Architecture, interiors and furniture design studio OFFICIAL, have recently completed a coffee and cocktail bar named Houndstooth Coffee in Austin, Texas. Full height windows line the facade and provide a glimpse of the bright interior from the street. 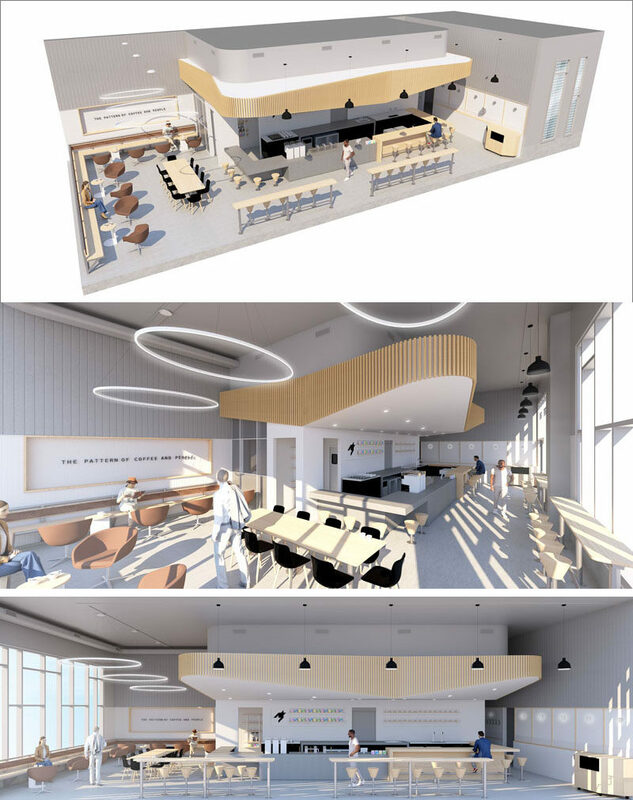 Here’s a look at the renderings the designers created to show what the coffee shop would look like once completed. And here’s the end result. 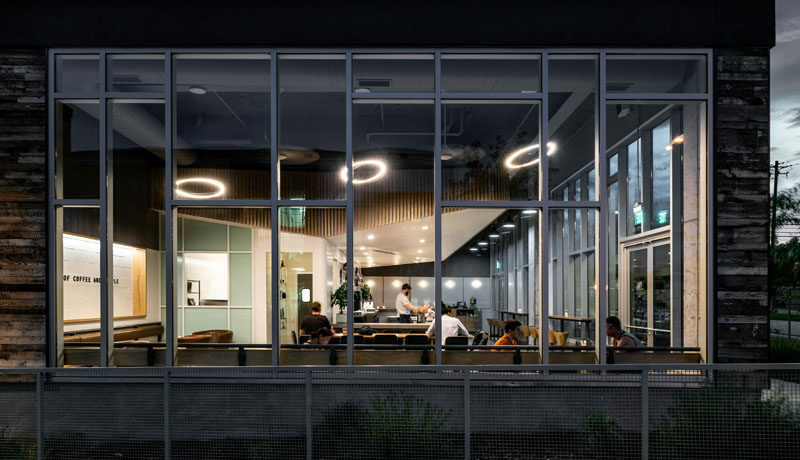 Stepping inside, there’s a large custom designed communal table that sits beside a row of swiveling lounge chairs and a floating bench with a leather backrest. 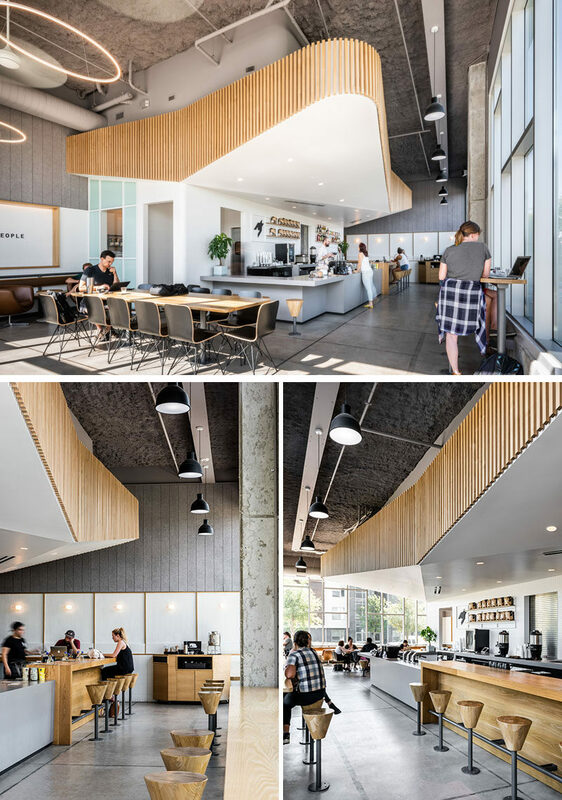 The main focal point of the coffee shop / cocktail bar, is the sculptural white volume above the service area that’s clad in wood slats made from alder. 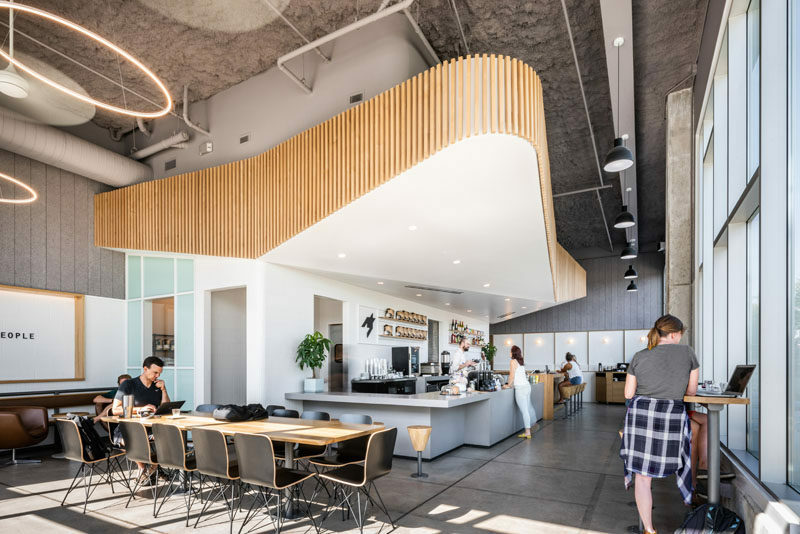 Floor mounted stools, designed by the architect and made from a milled butcher block seat in a conical shape, wrap the front of the bar and high counter seating along the window.